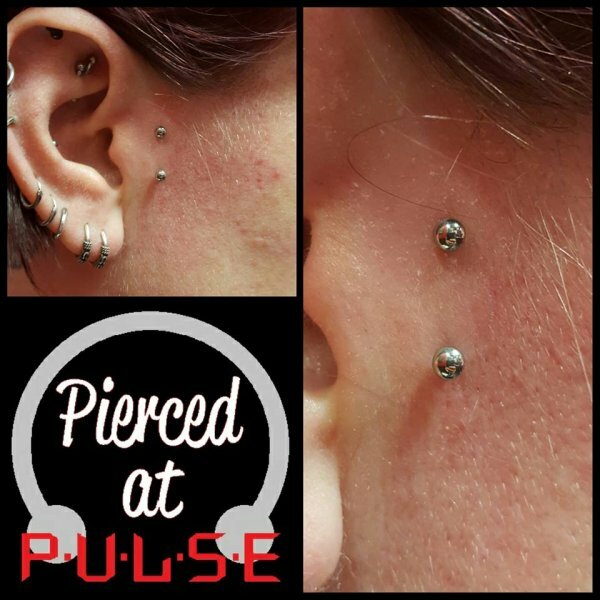 Simon joined the Pulse Team in the summer of 2014 having relocated back to Northampton from Cornwall. 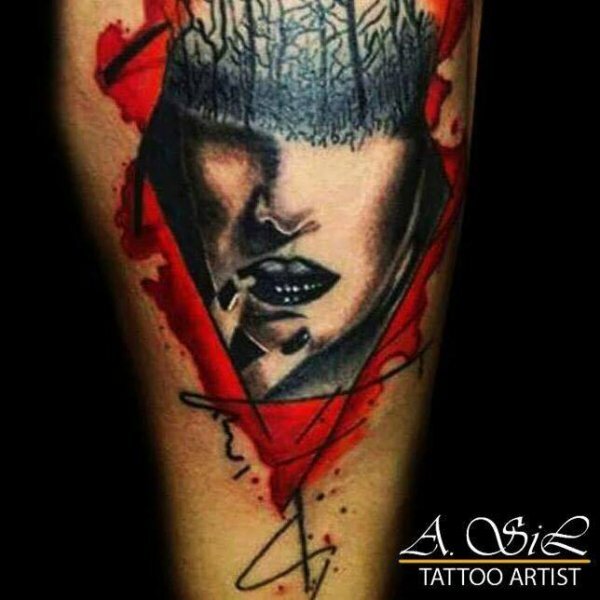 His passion lays with grey shade work, with splashes of colour, and graffiti and caricatures, but capable of taking on any design. 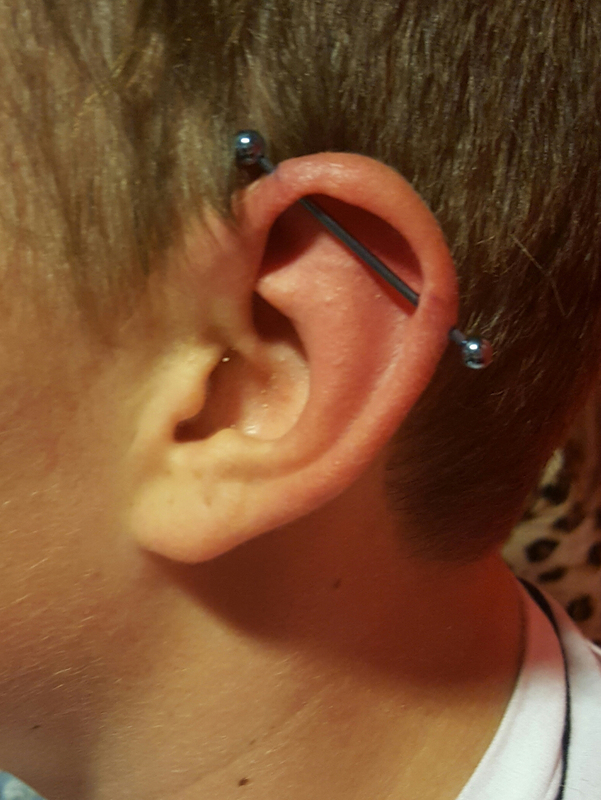 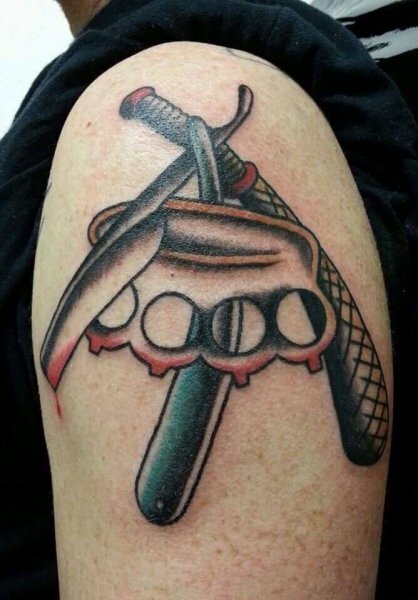 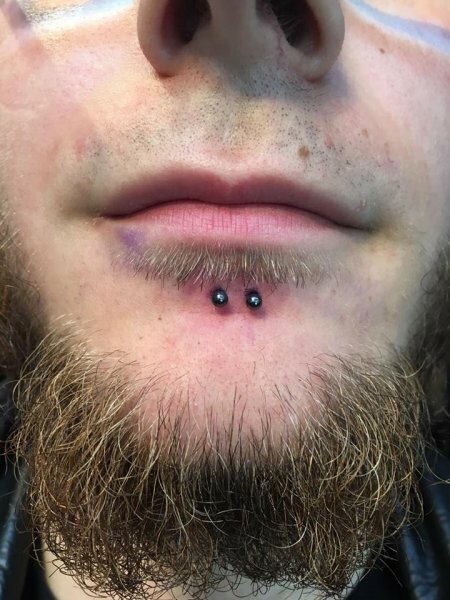 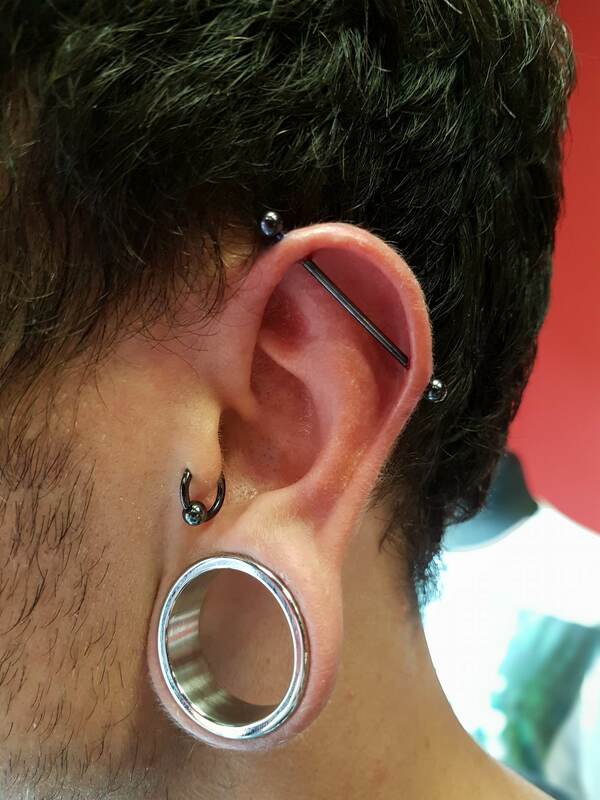 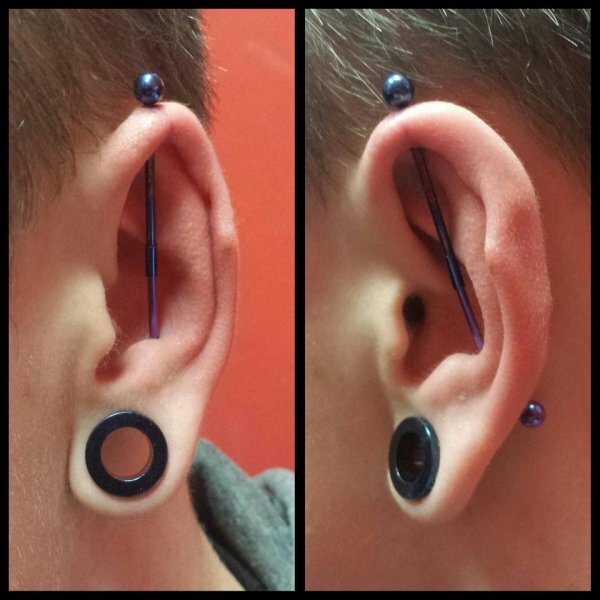 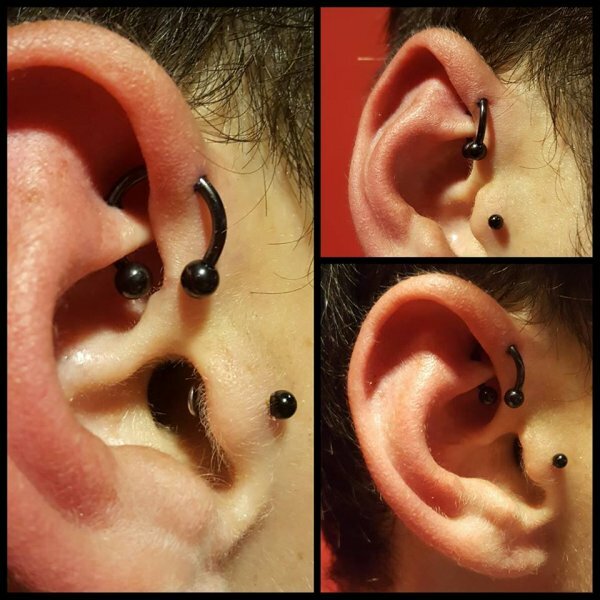 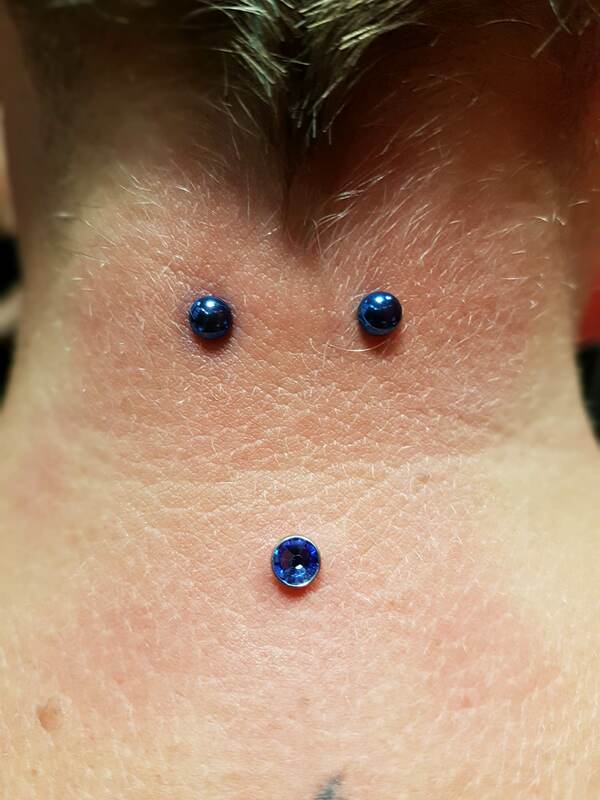 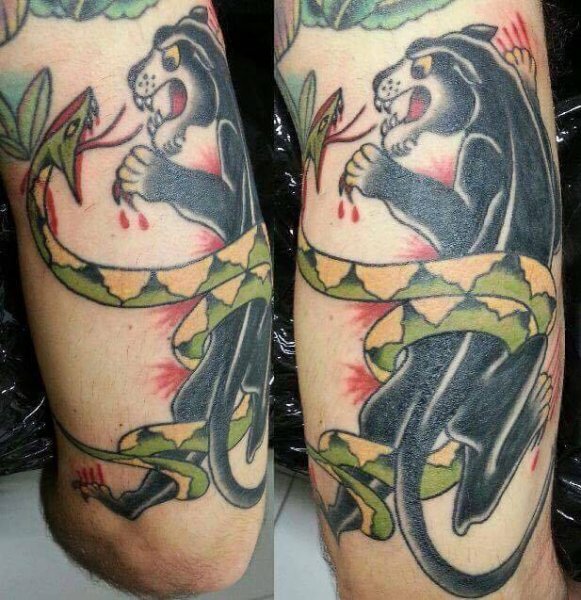 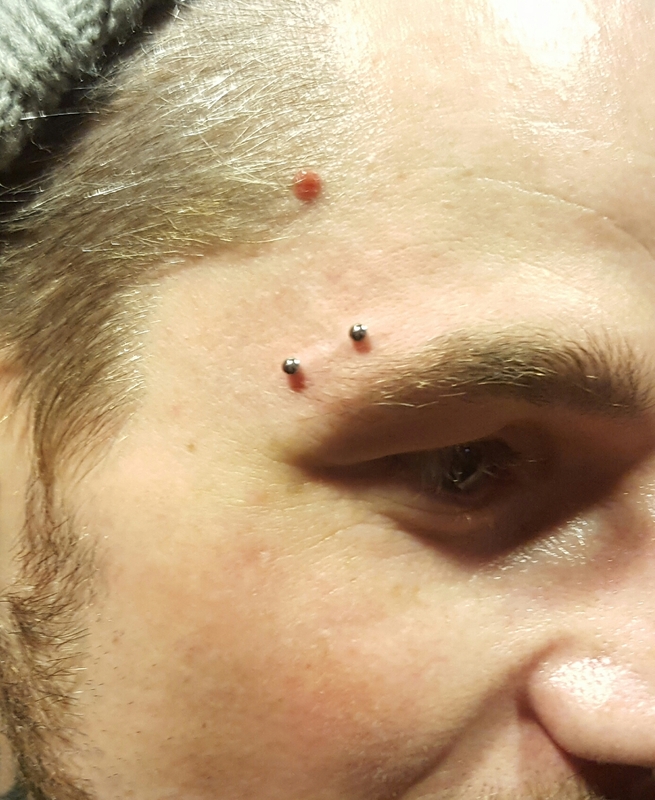 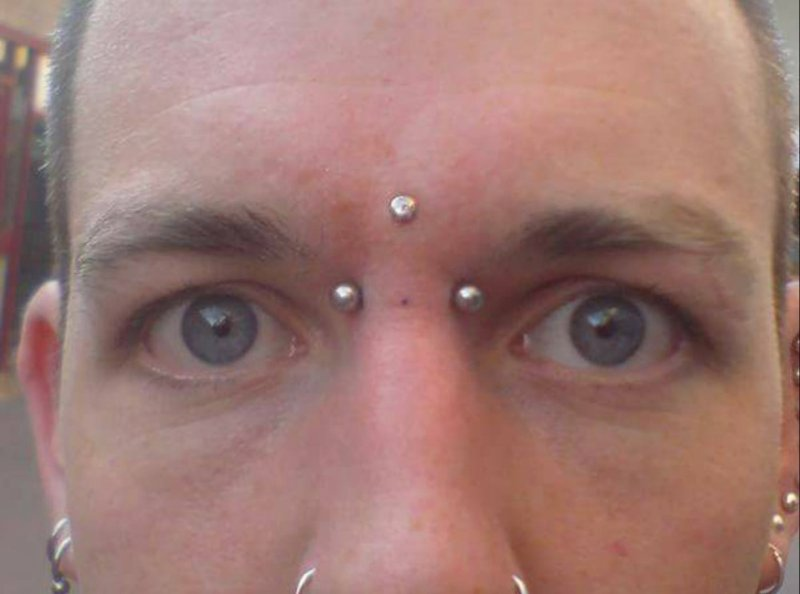 James has had a good 8 years of experience as a piercer, so no job is too big for him. 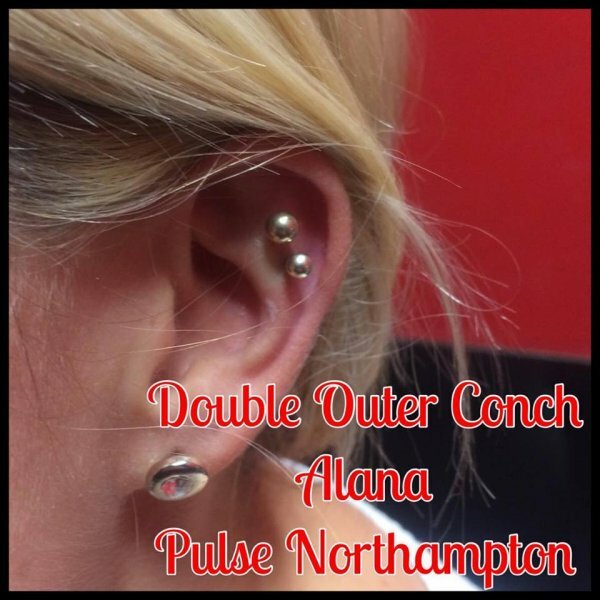 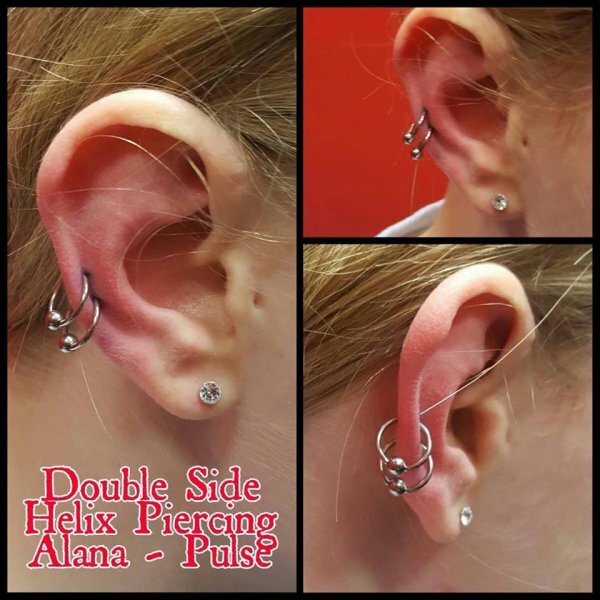 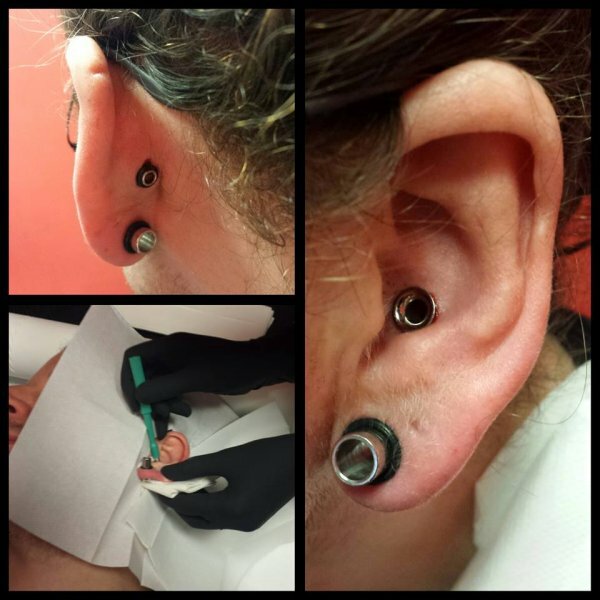 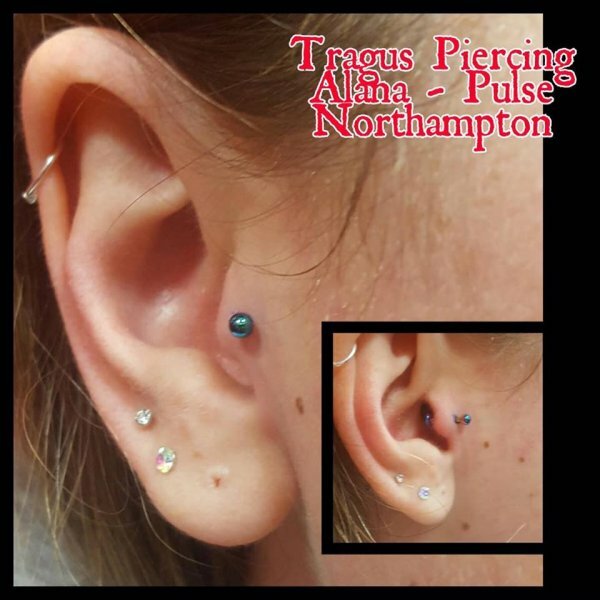 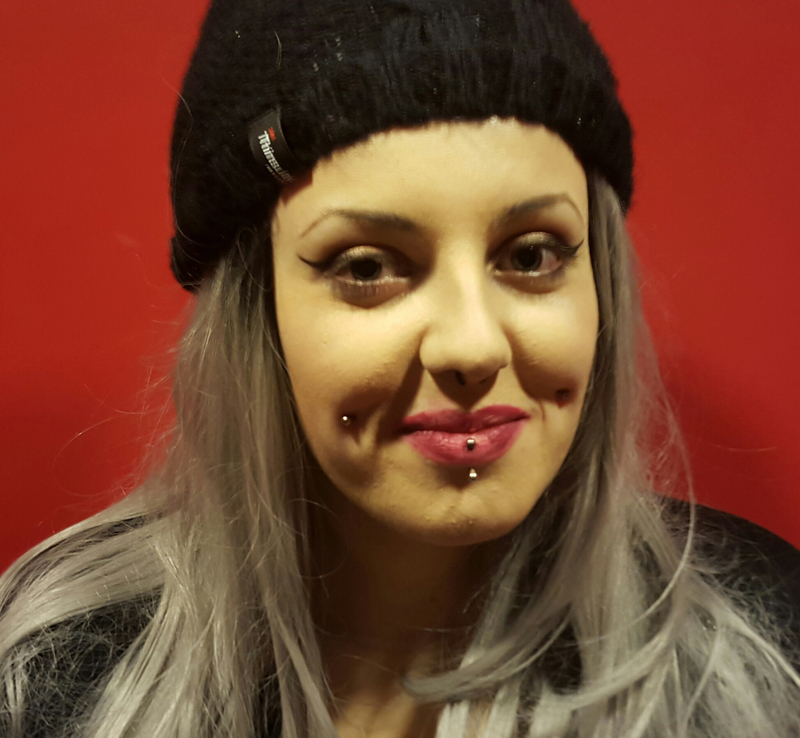 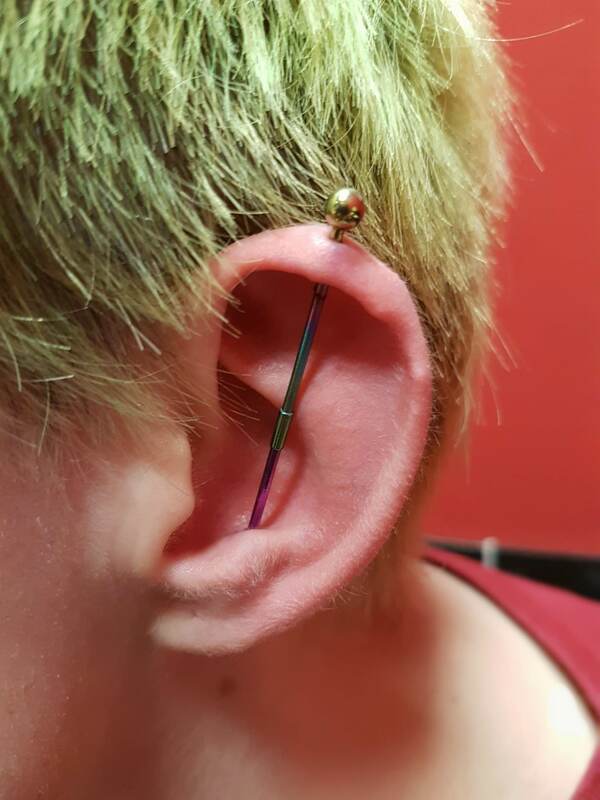 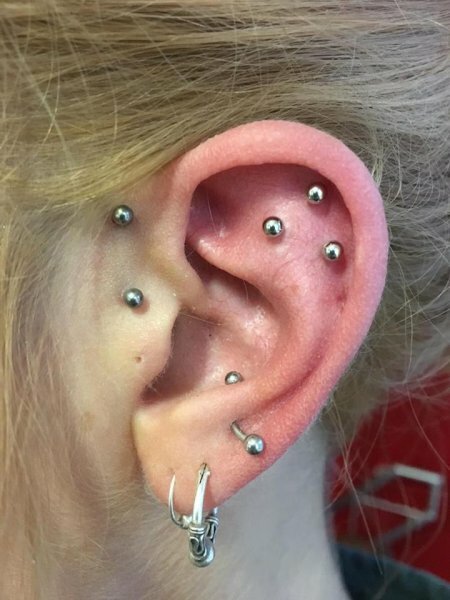 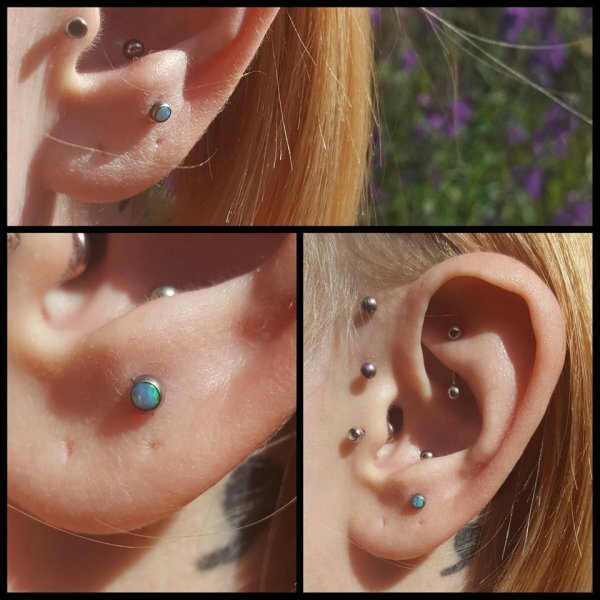 Alana is currently the apprentice piercer in our Northampton studio, though with her excellent skills and precision, she will soon be a fully qualified piercer. 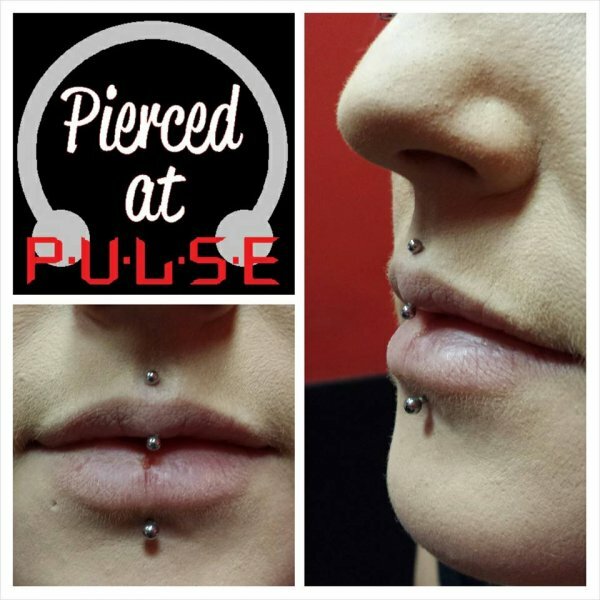 She is currently offering discounted rates on various piercings. 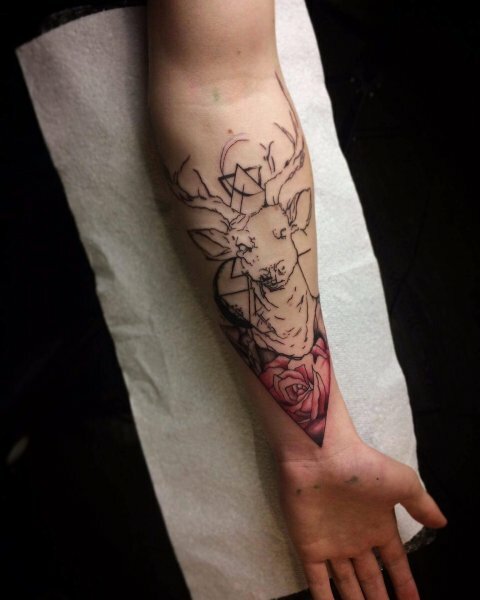 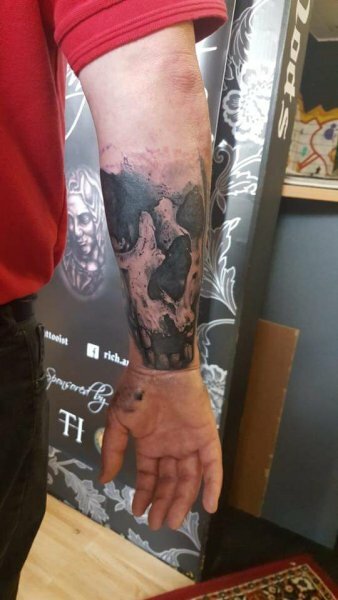 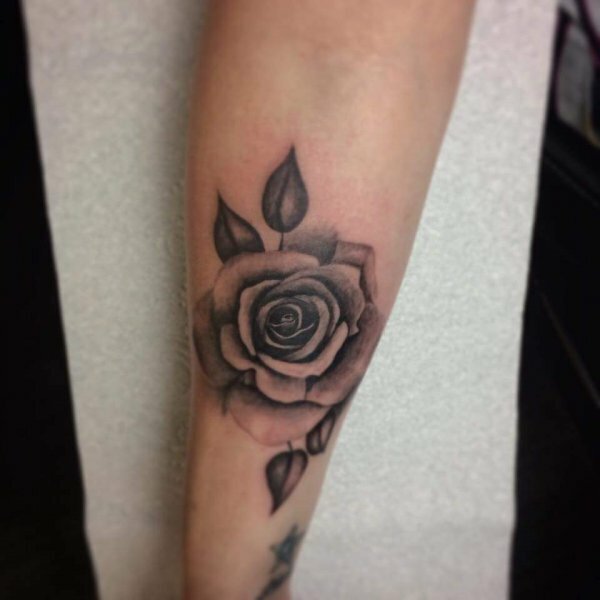 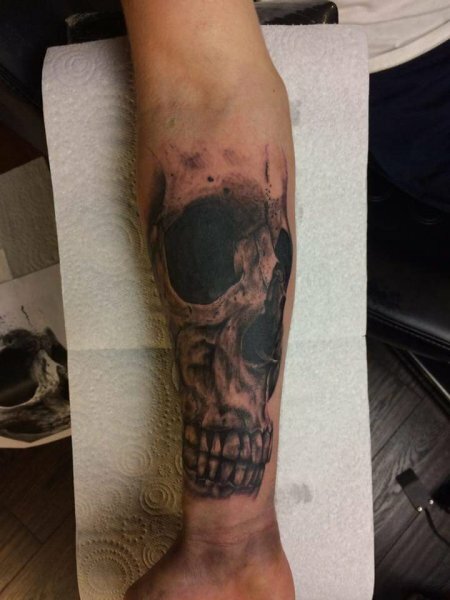 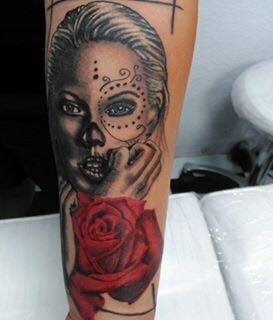 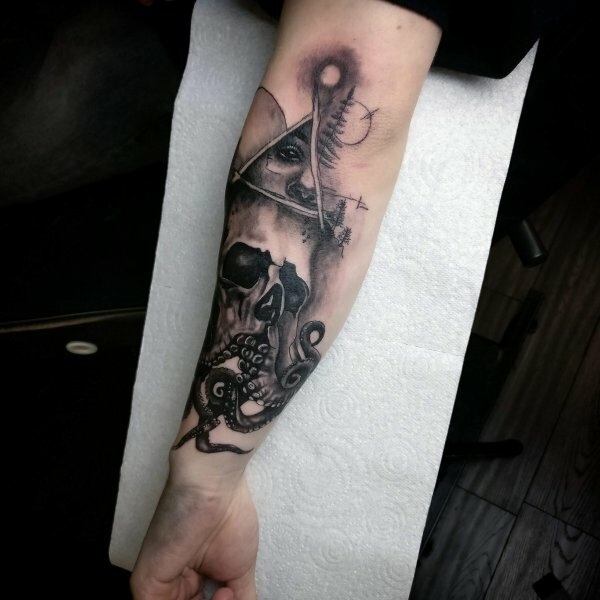 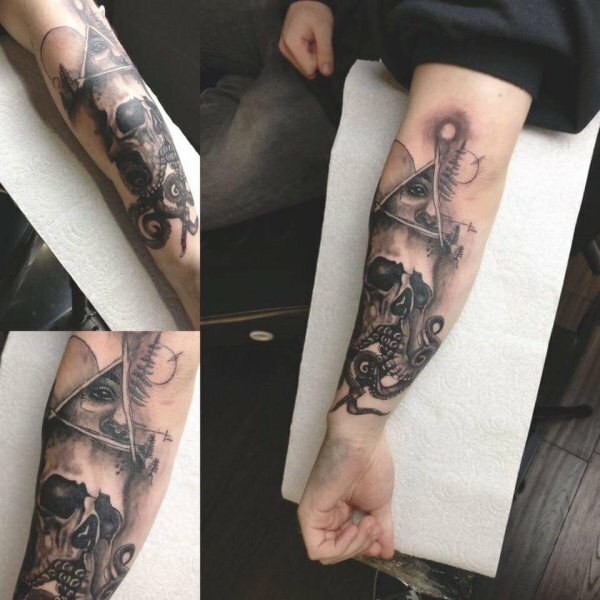 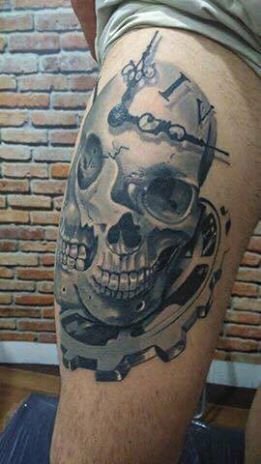 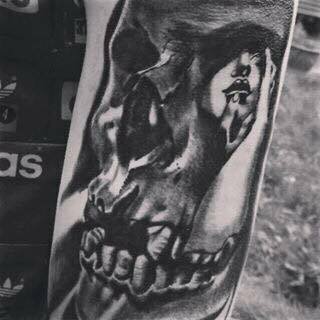 Scott has a love of skulls and flowers in his tattoos, and has created some amazing abstract pieces. 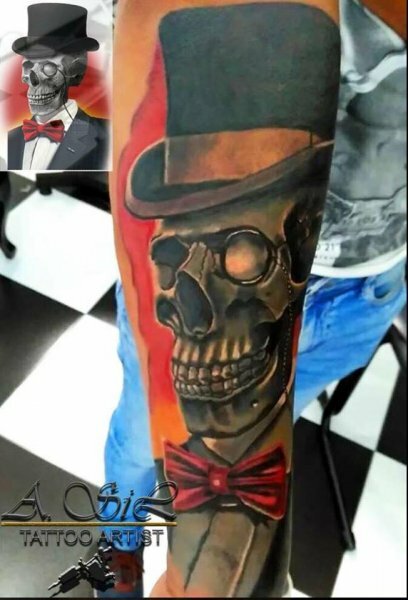 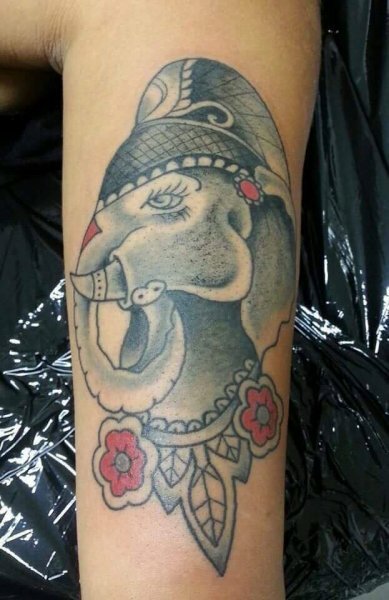 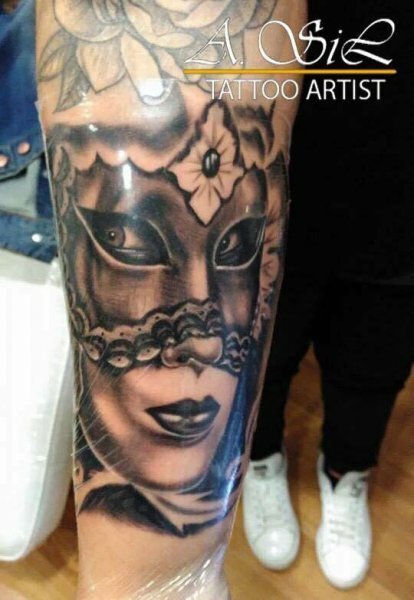 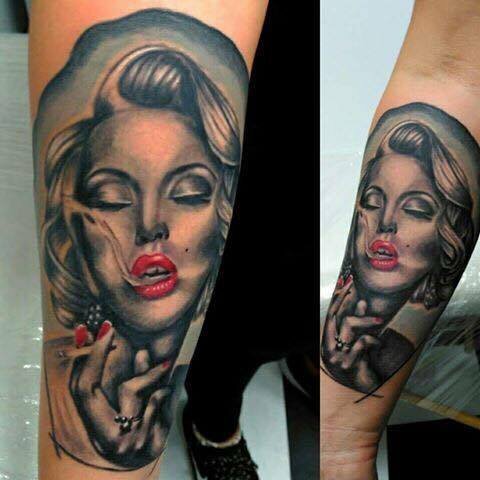 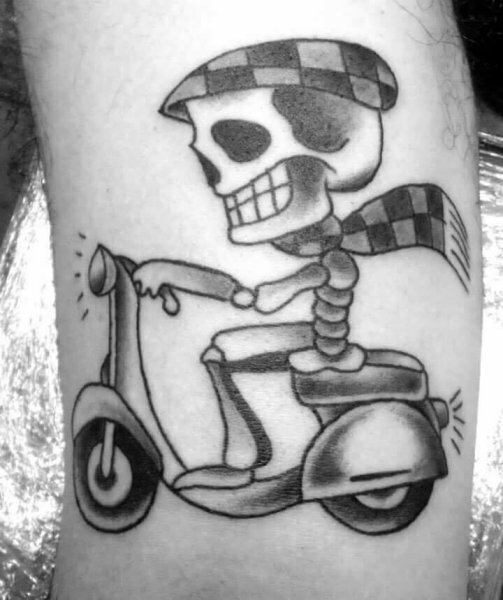 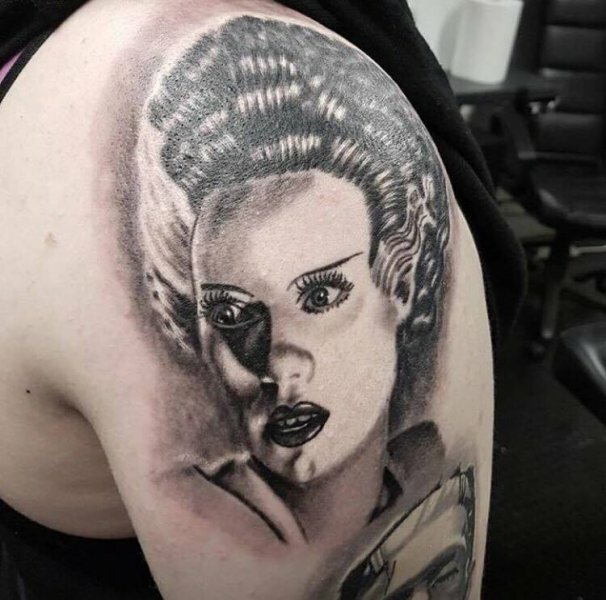 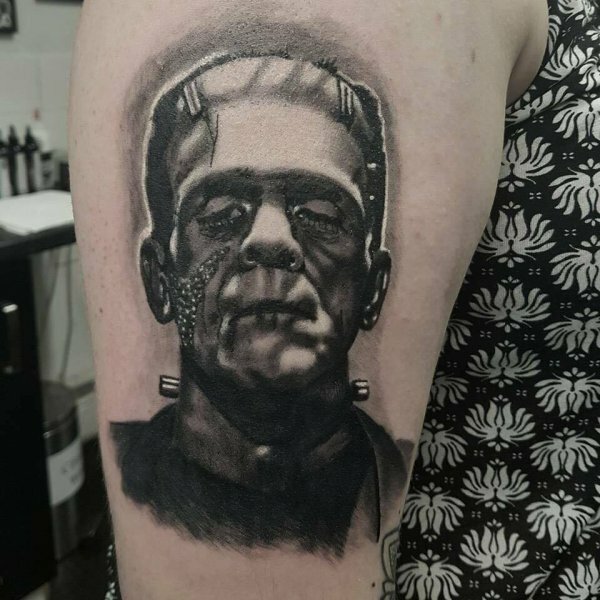 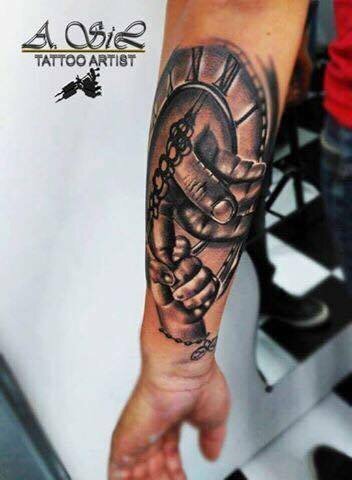 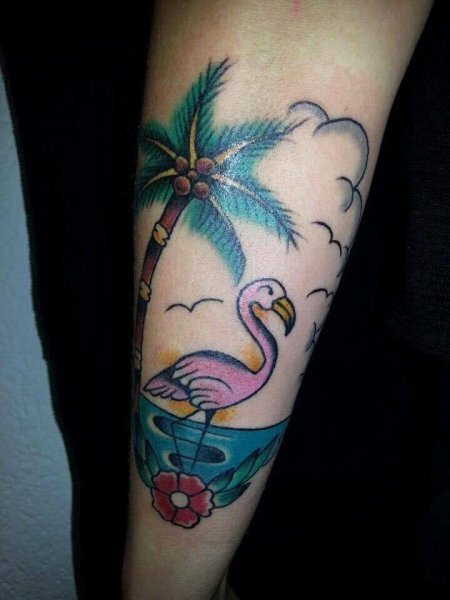 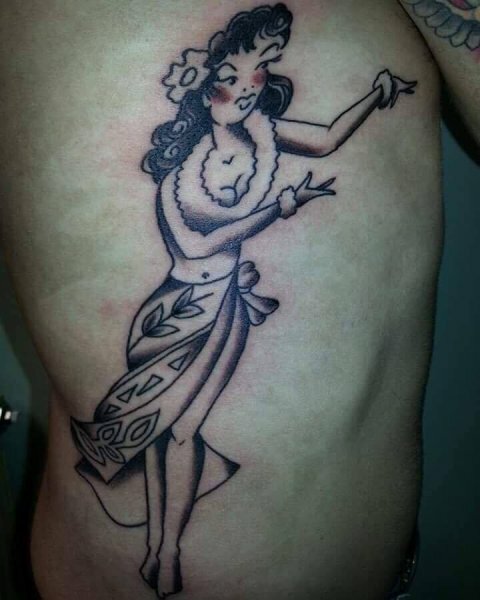 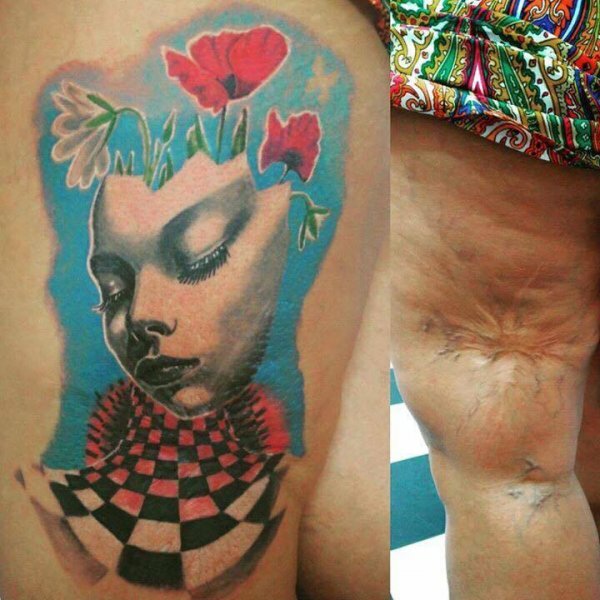 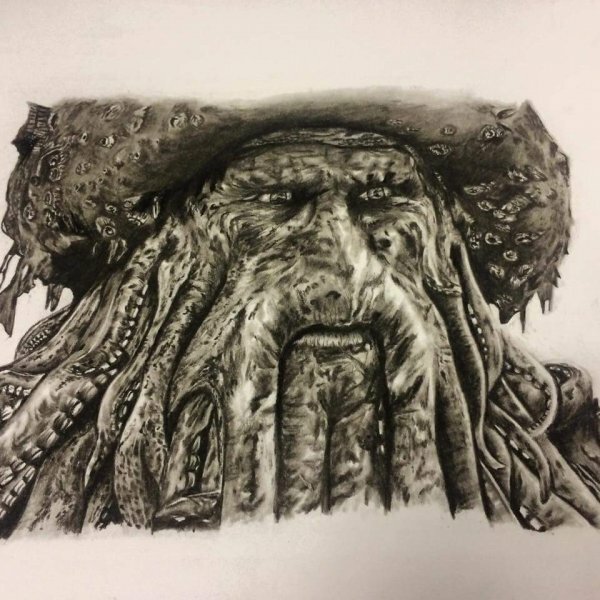 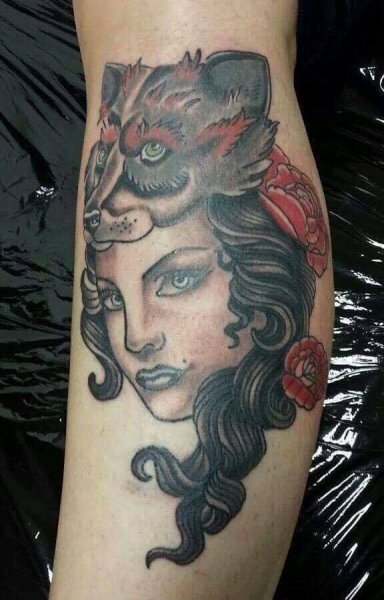 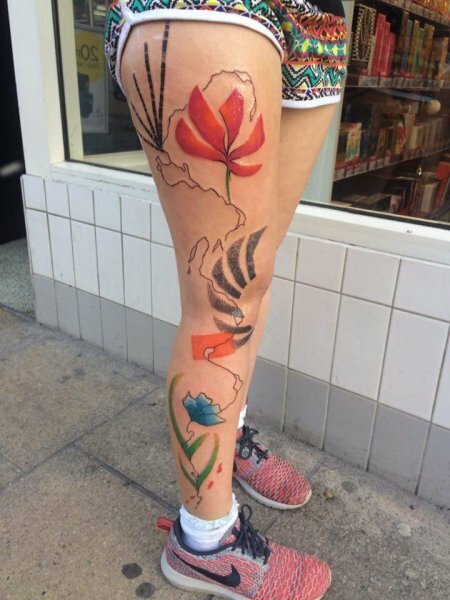 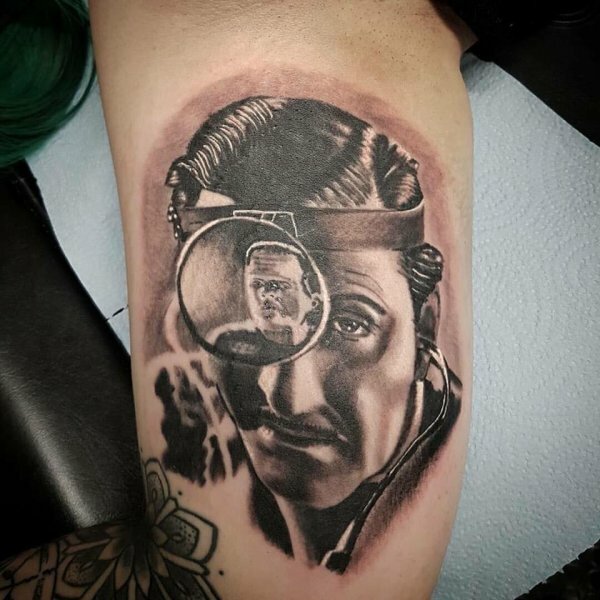 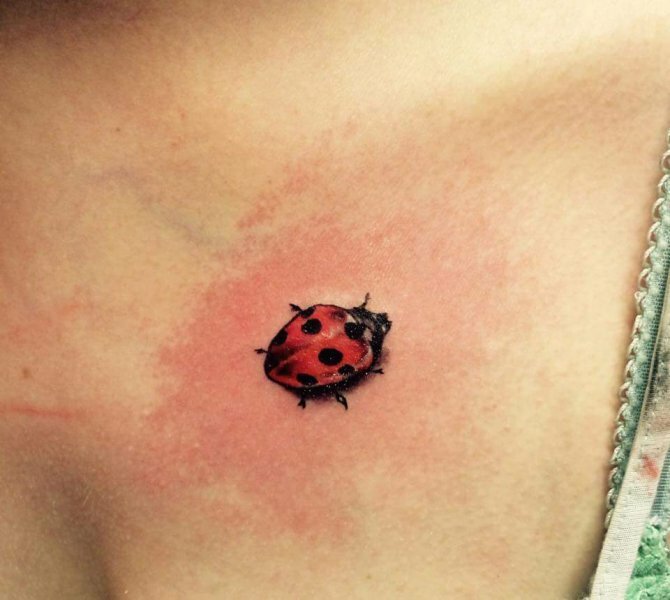 If you give him a piece of your skin, he can create something truly unique. 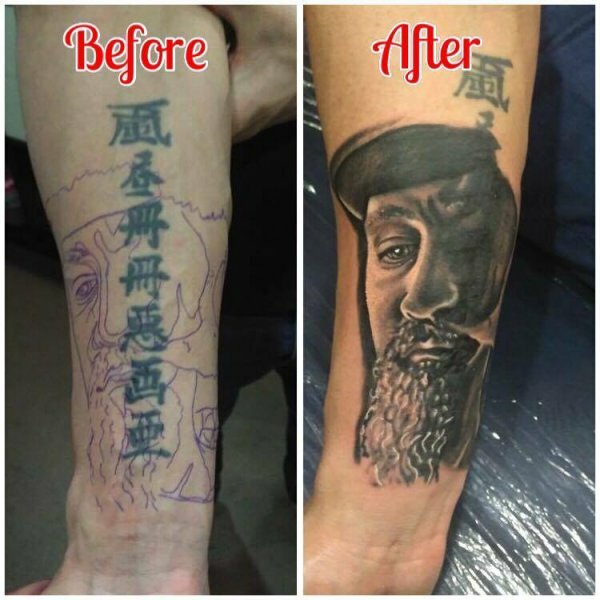 he will help create the look you’re after. 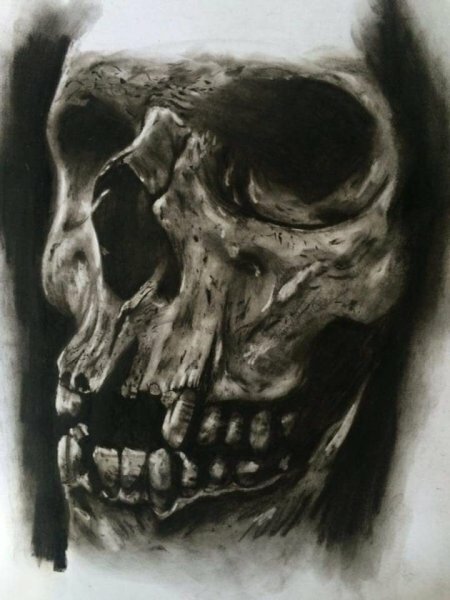 Kevin has an immense memory and rarely uses any visual aids or tracings. 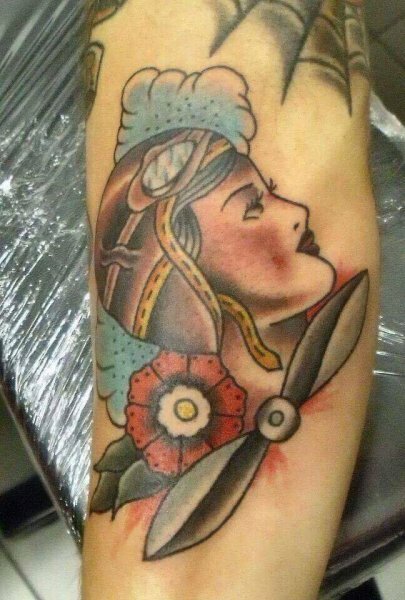 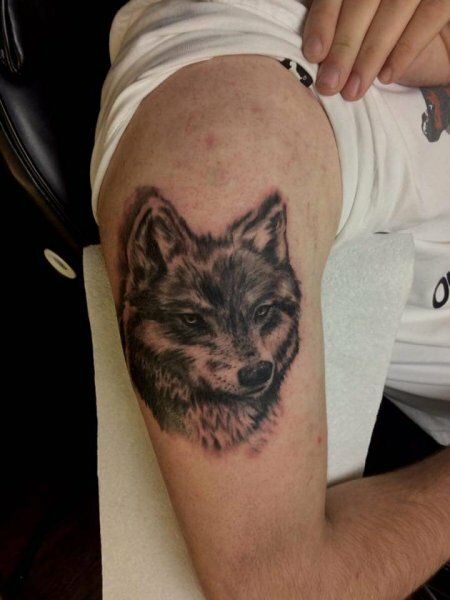 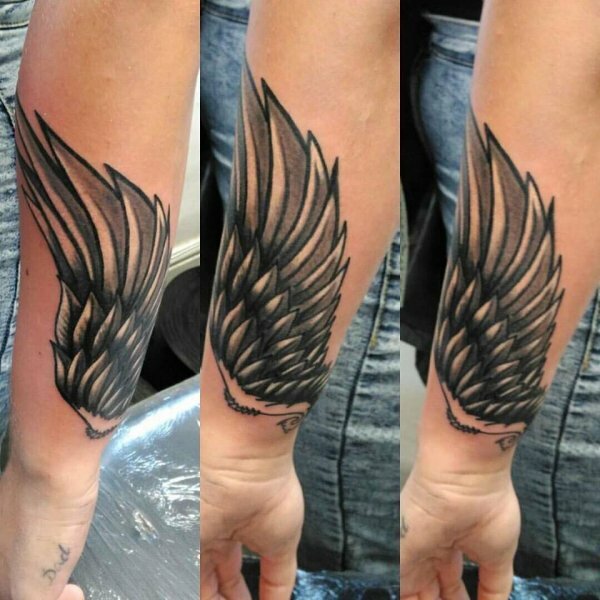 Kev is very quiet and reserved, his customers warm to his gentle manner and his artwork is incredible. 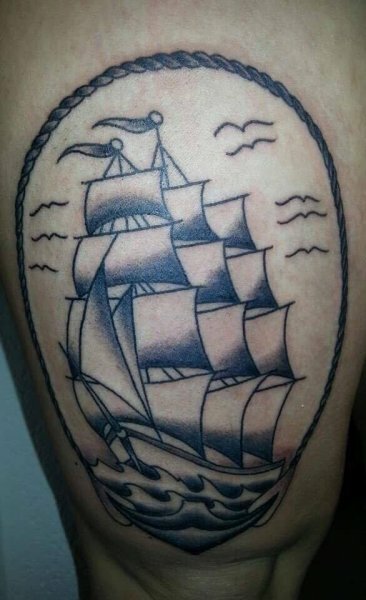 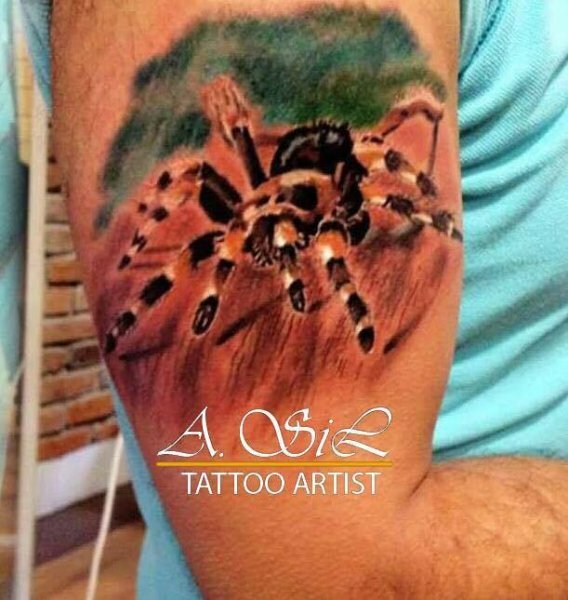 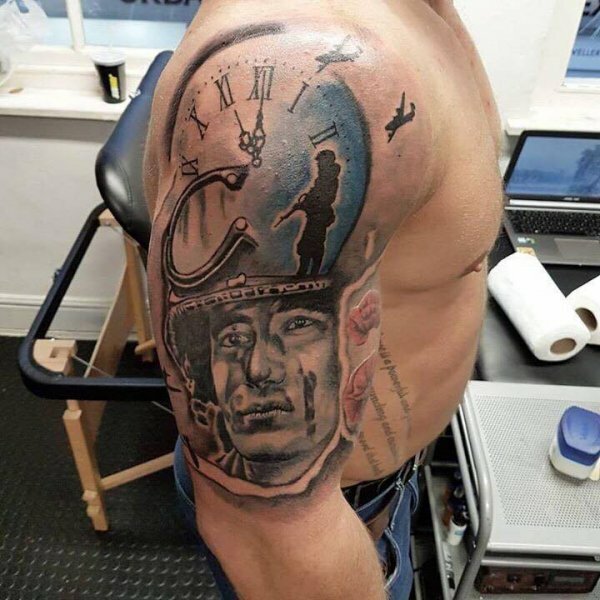 All his tattoos are free hand with fantastic attention to detail. 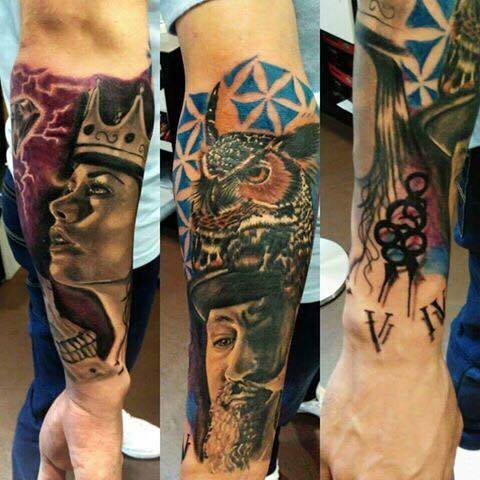 Kev’s experience from all over the world shows in each piece of art. 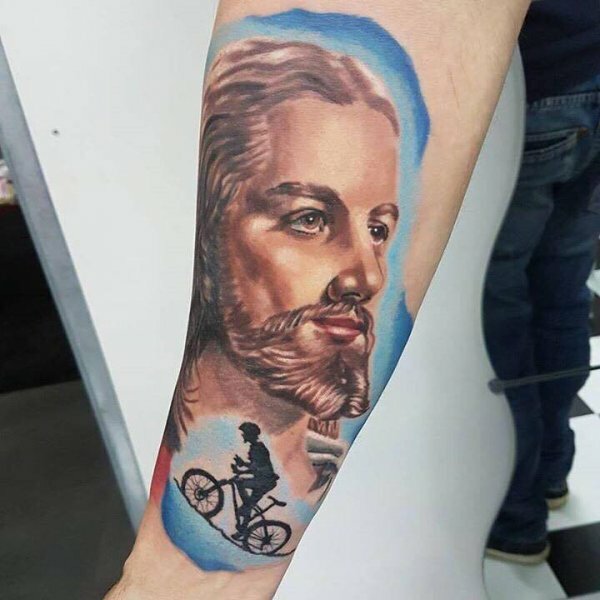 People travel a long way to visit Kev with good cause. 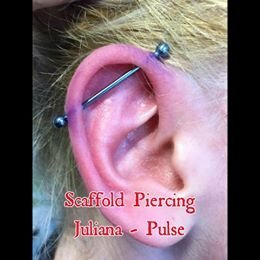 Juliana joined the Pulse Team in the autumn of 2015. 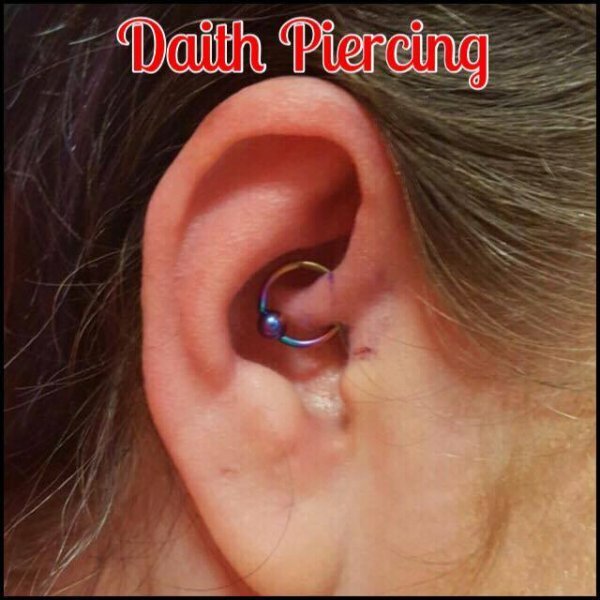 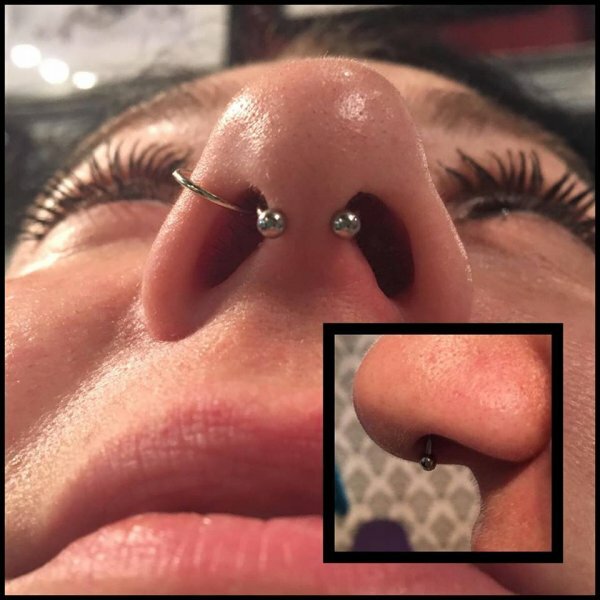 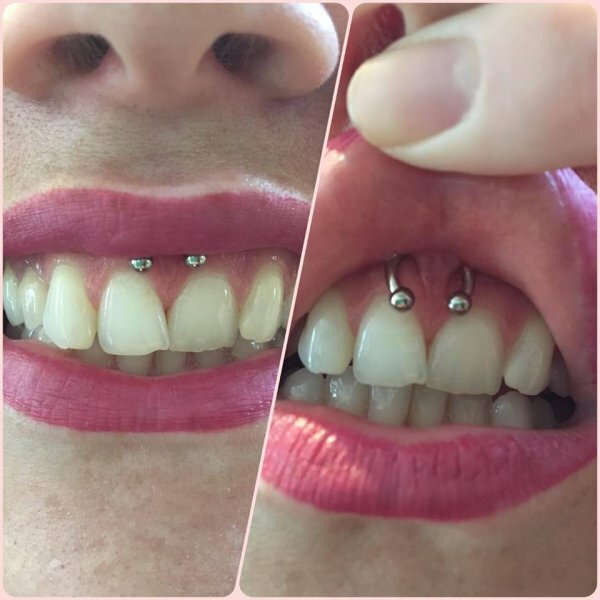 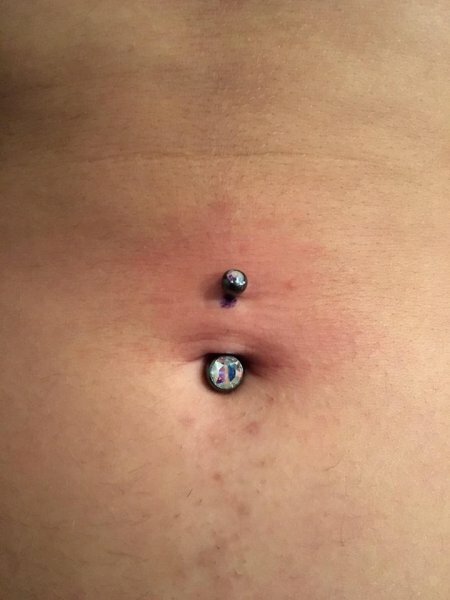 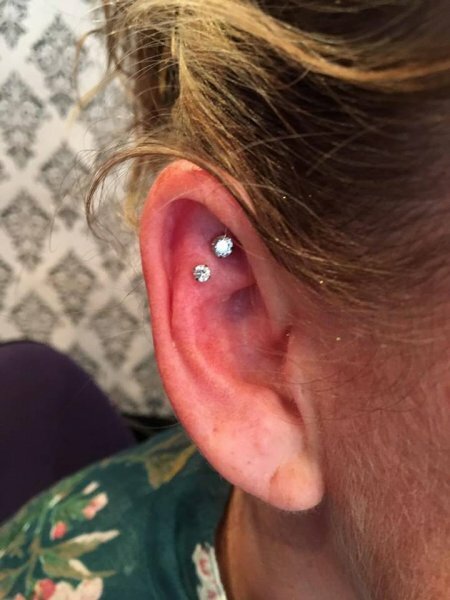 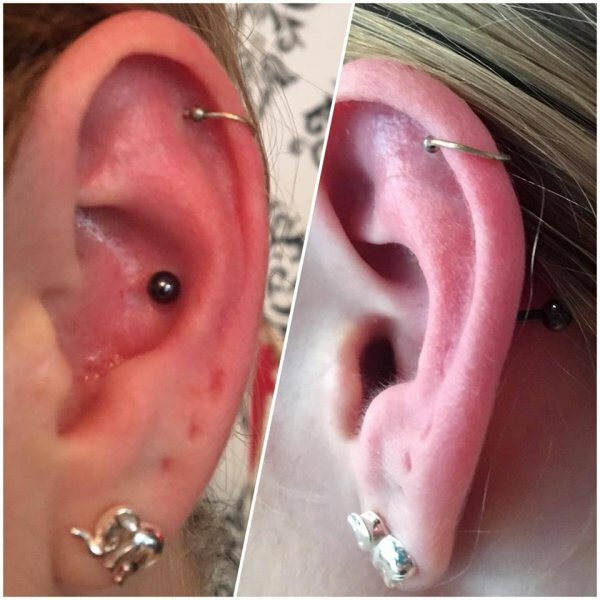 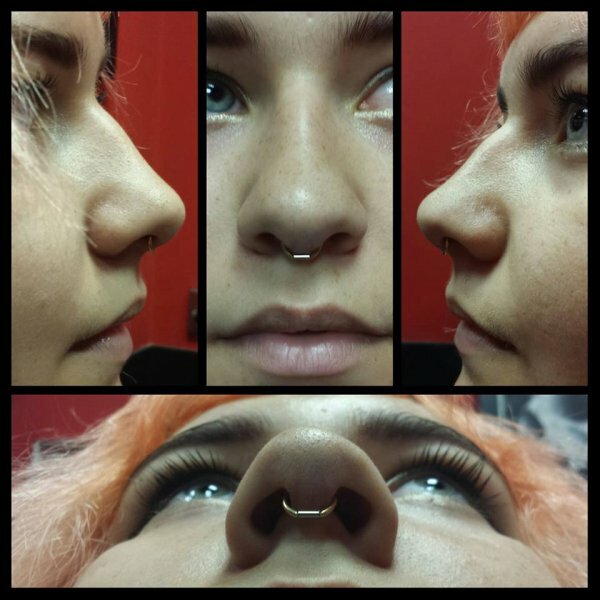 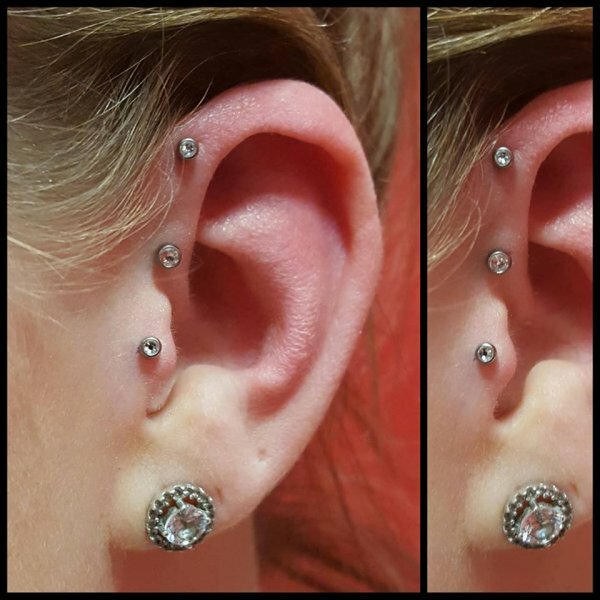 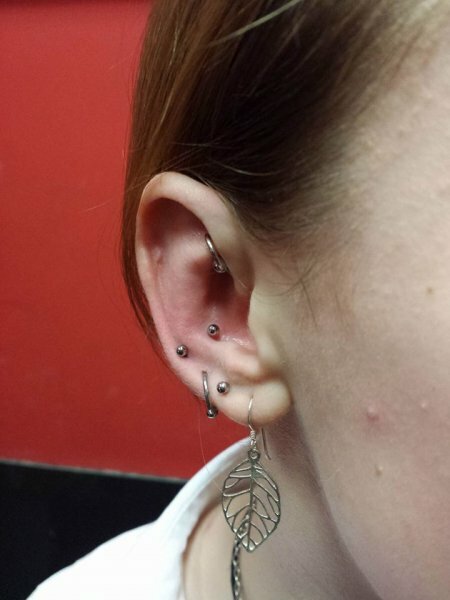 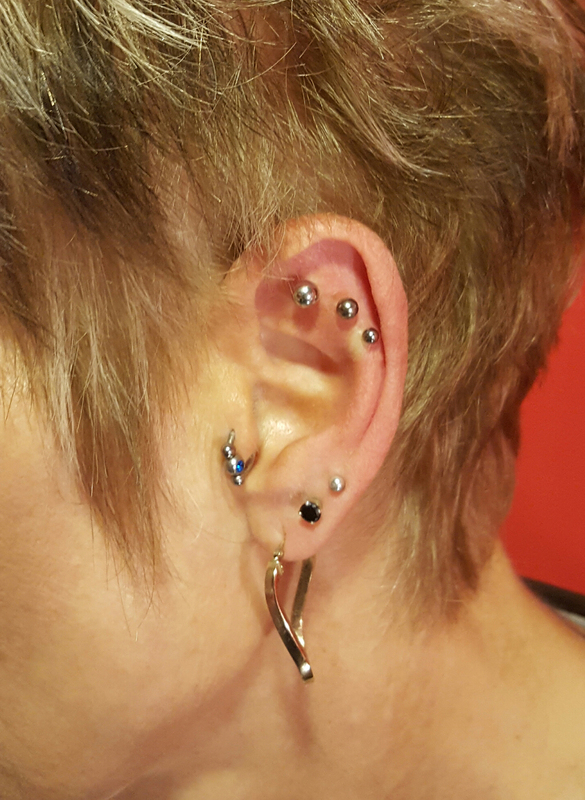 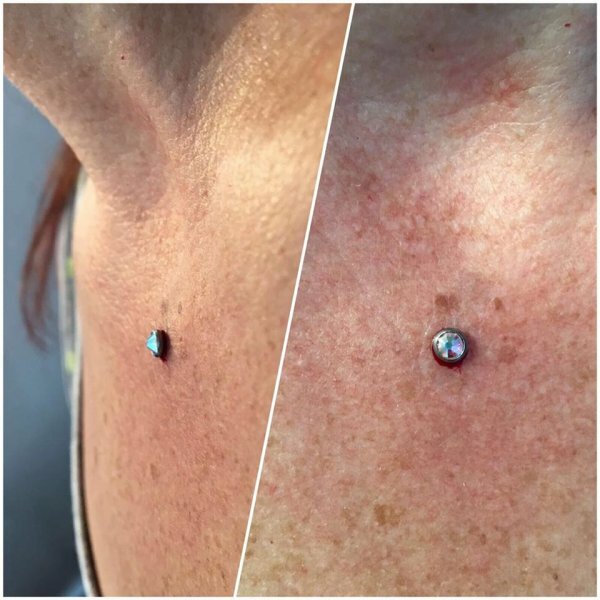 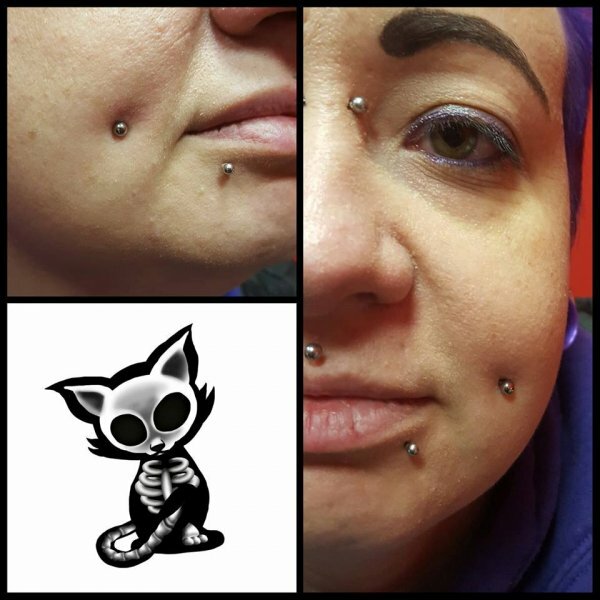 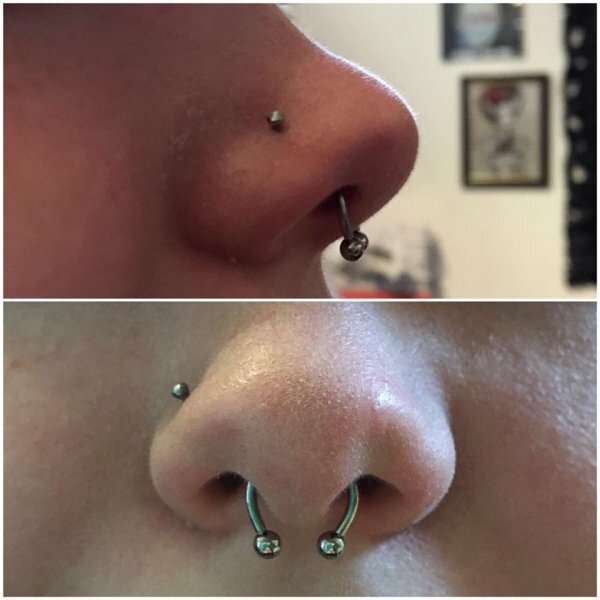 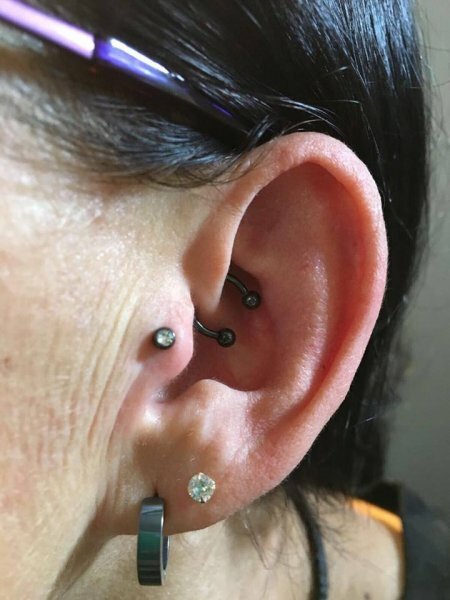 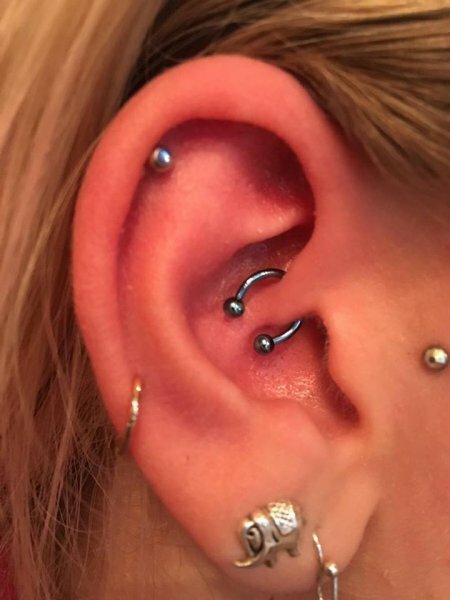 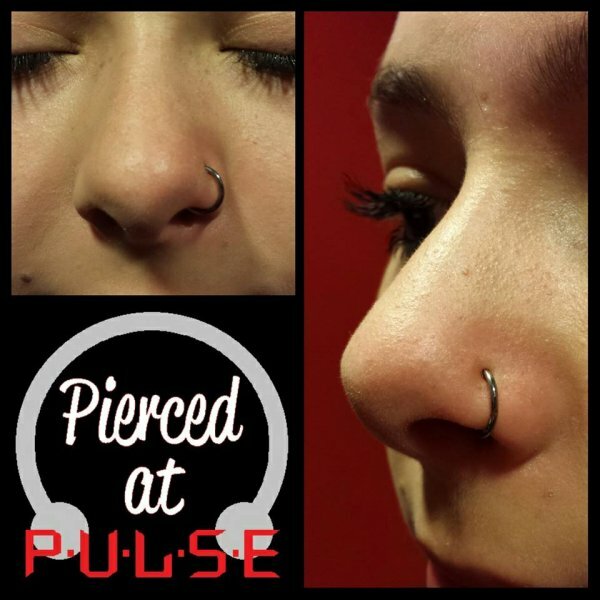 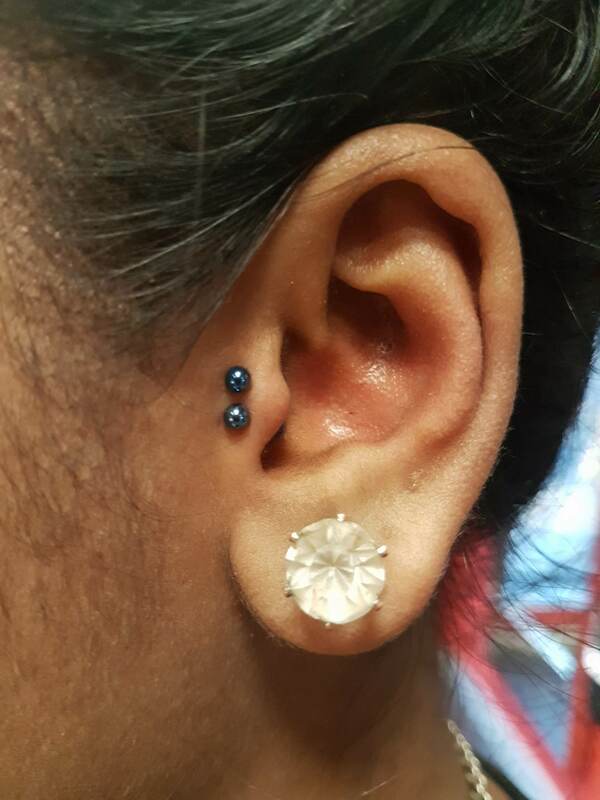 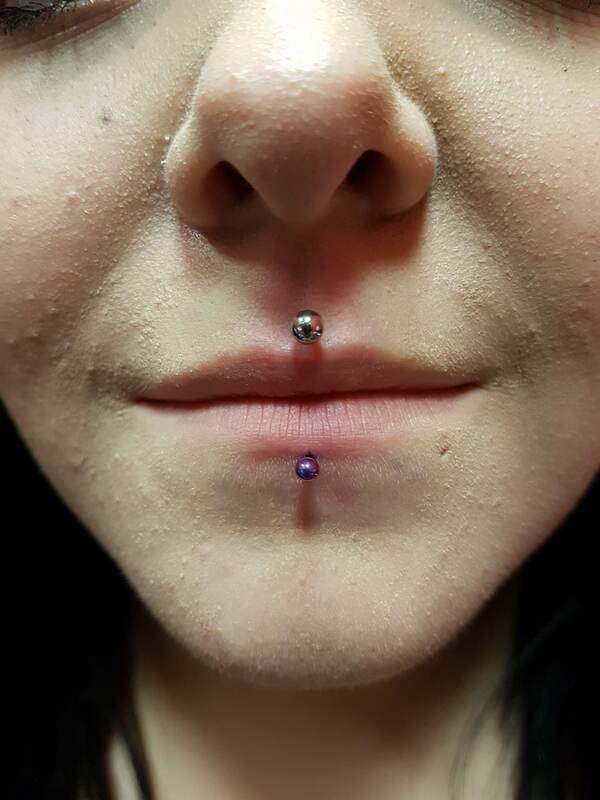 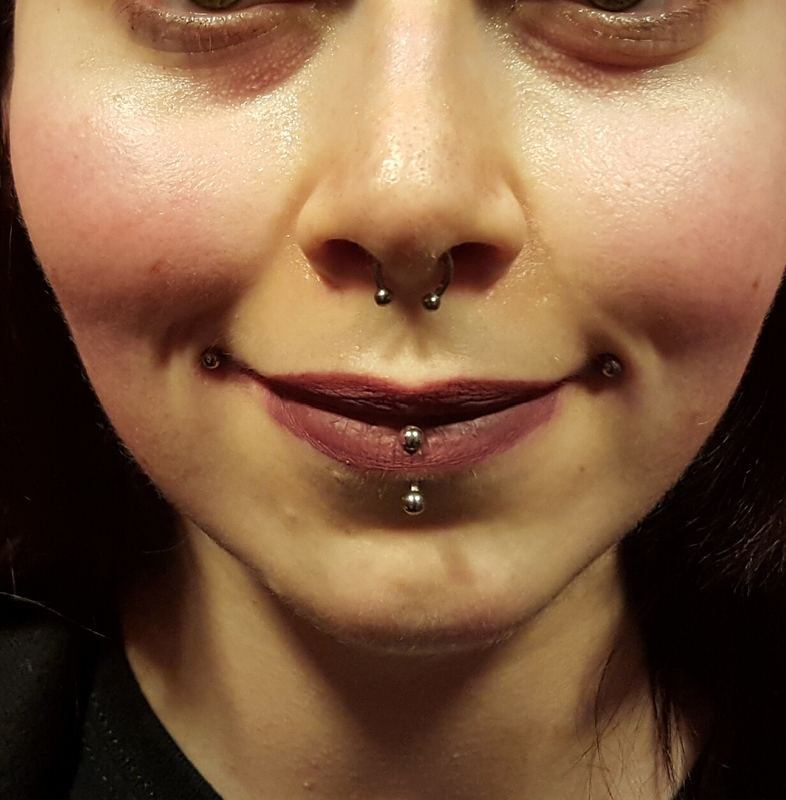 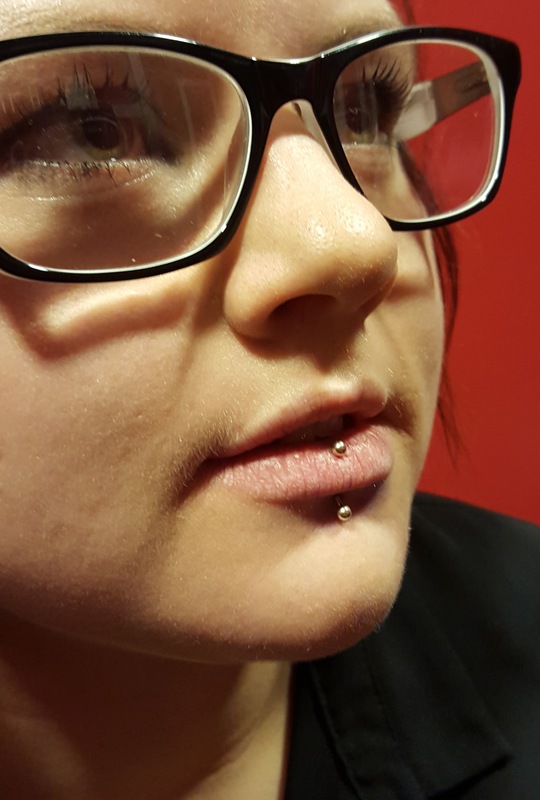 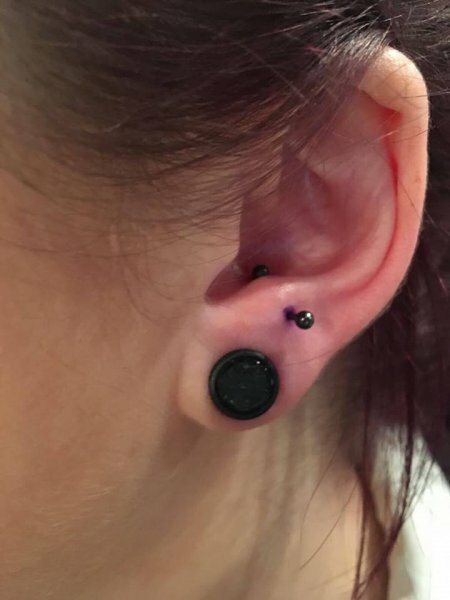 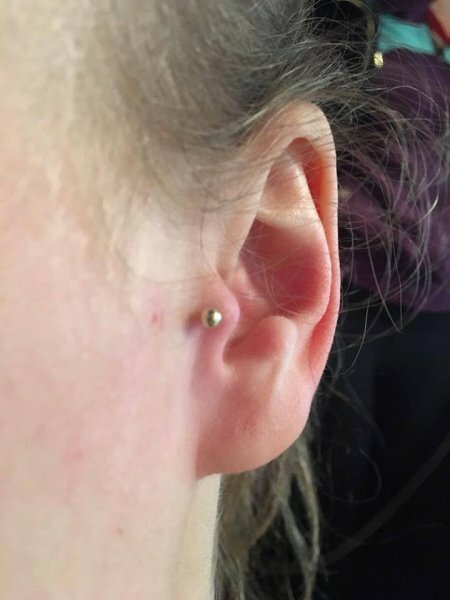 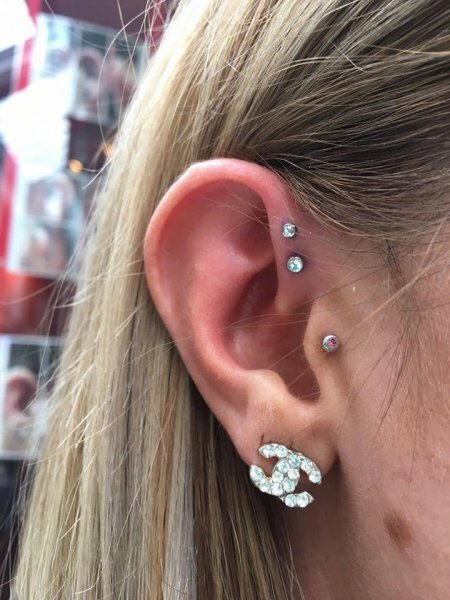 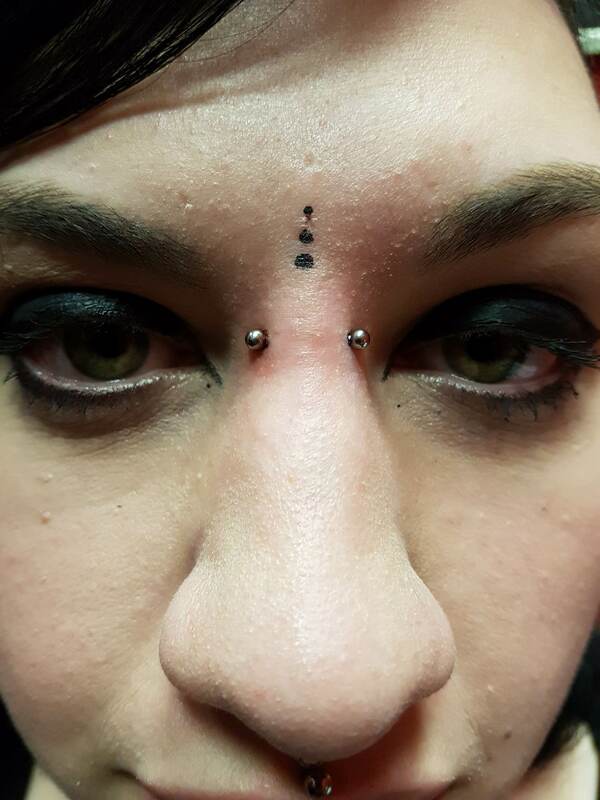 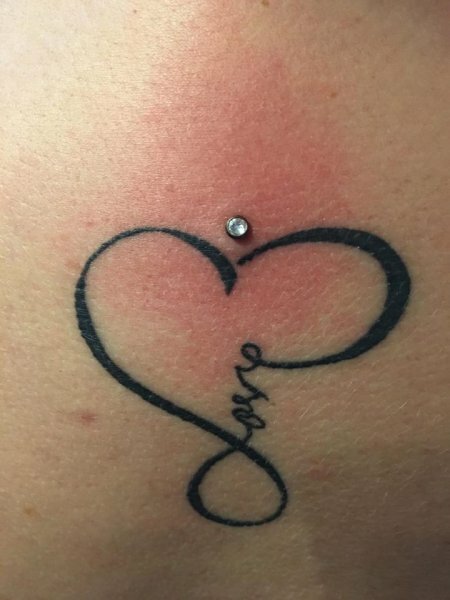 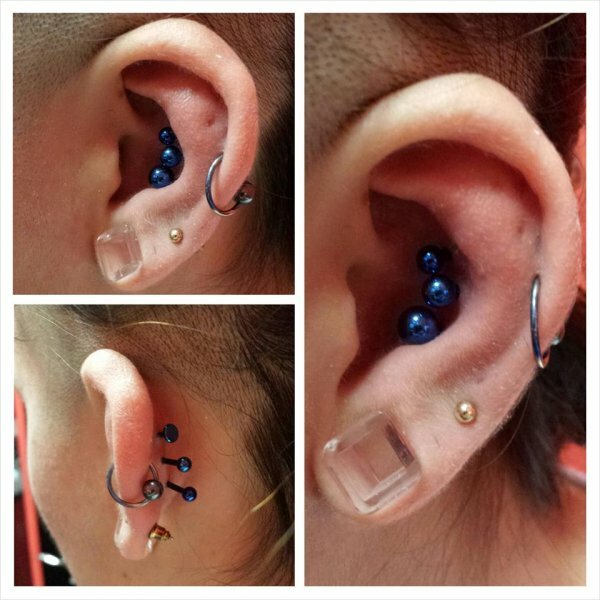 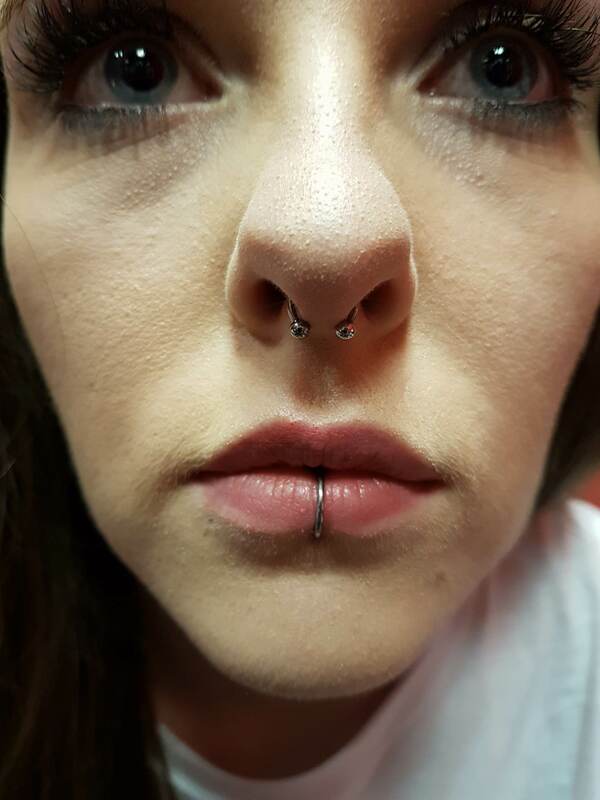 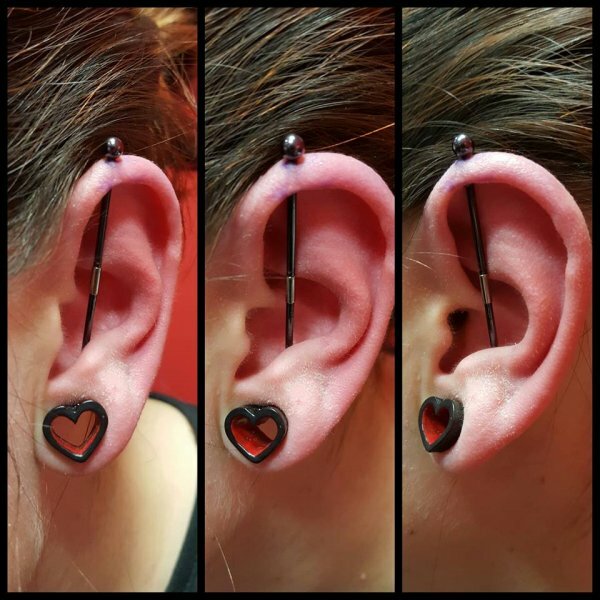 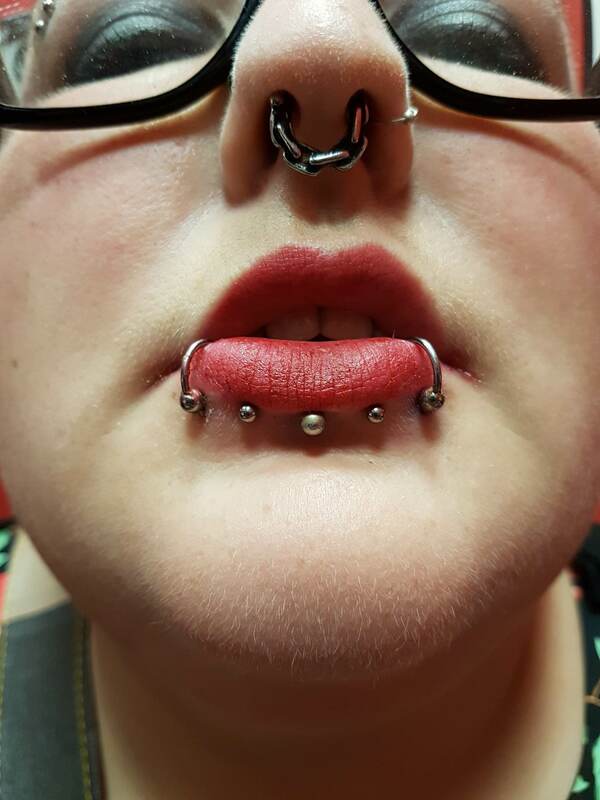 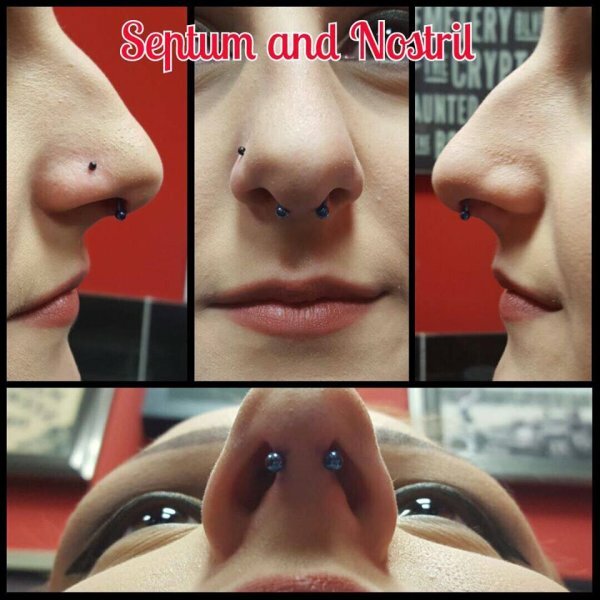 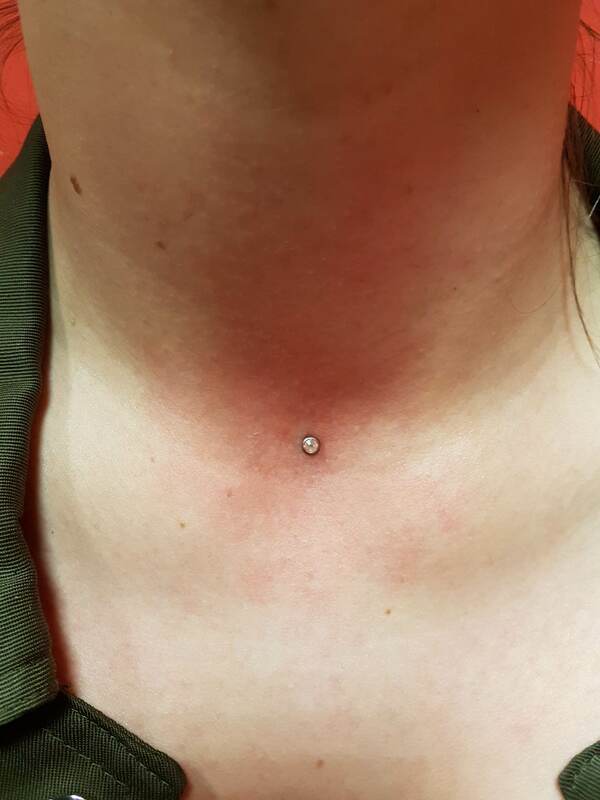 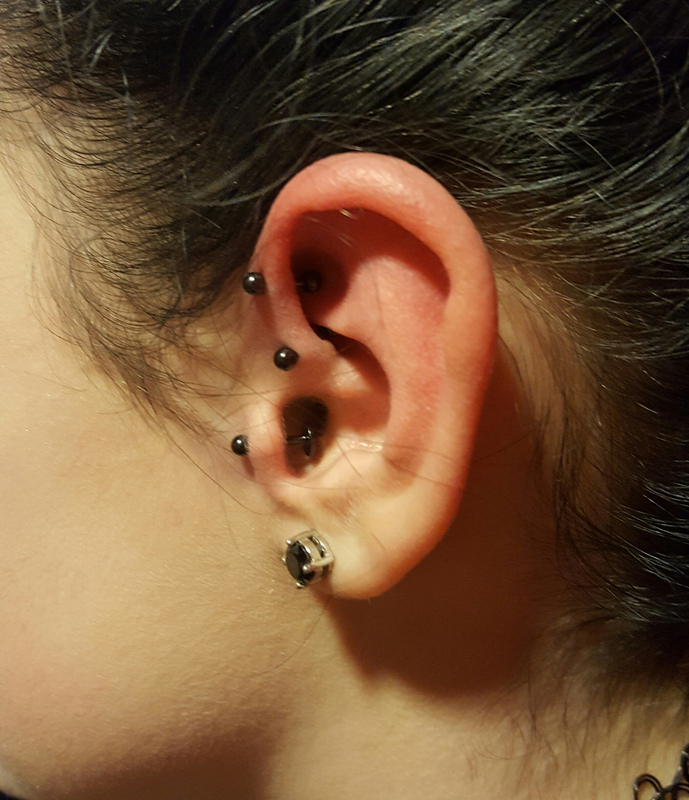 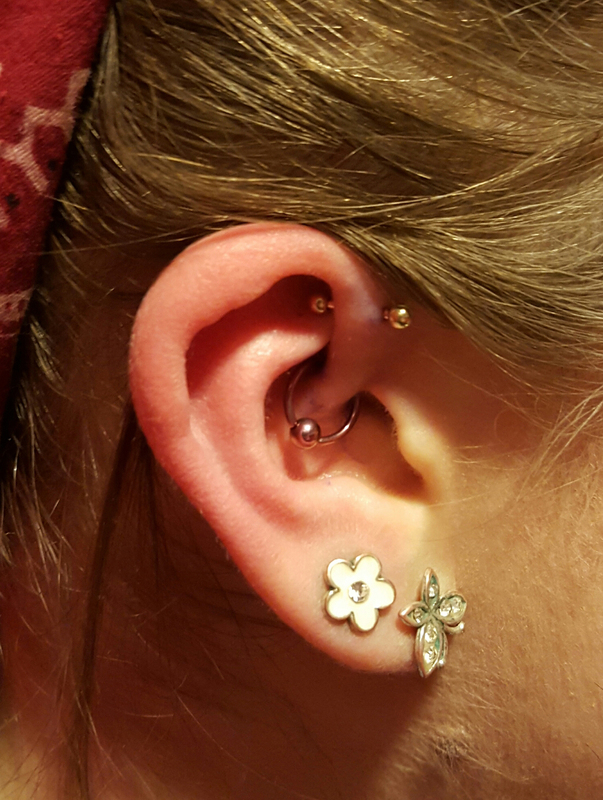 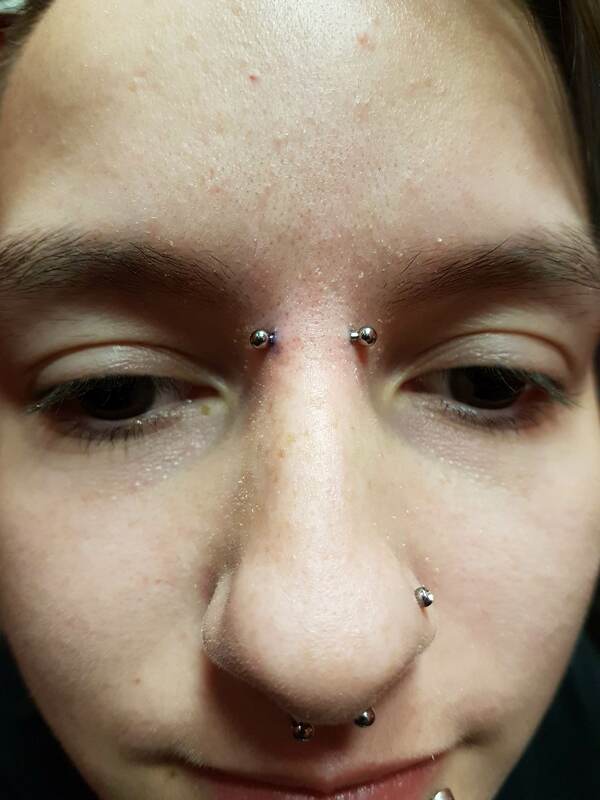 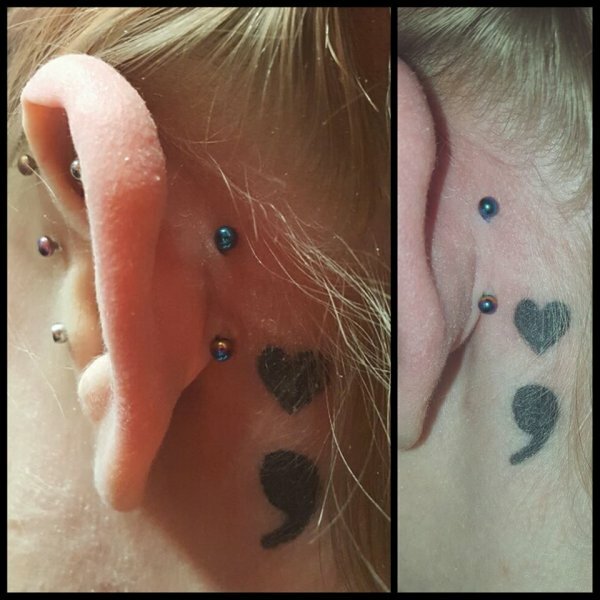 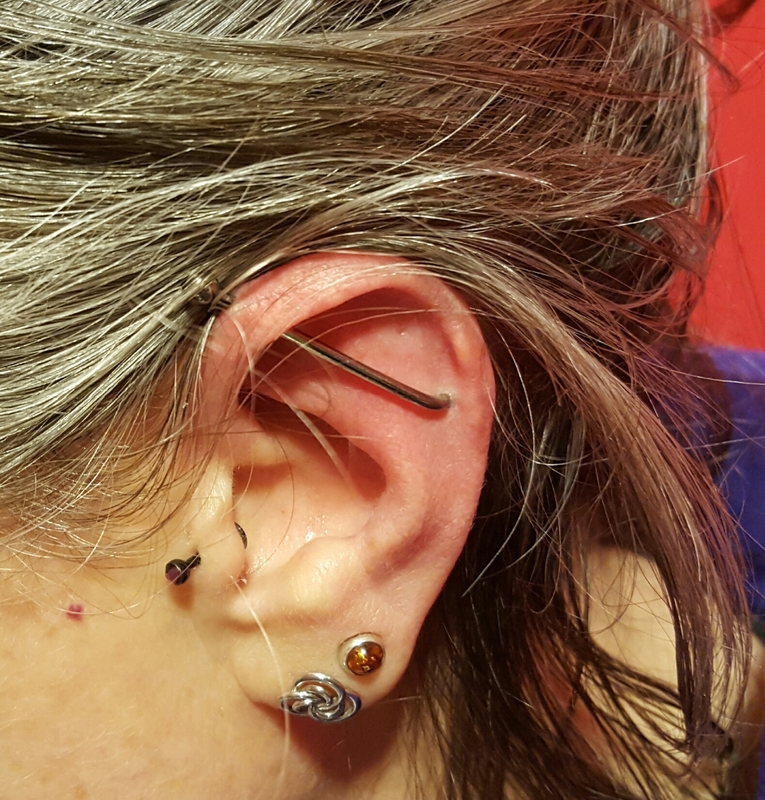 Her eye for detail and precision made her a natural when it came to piercing, and she quickly progressed to being our Resident Piercer in Peterborough. 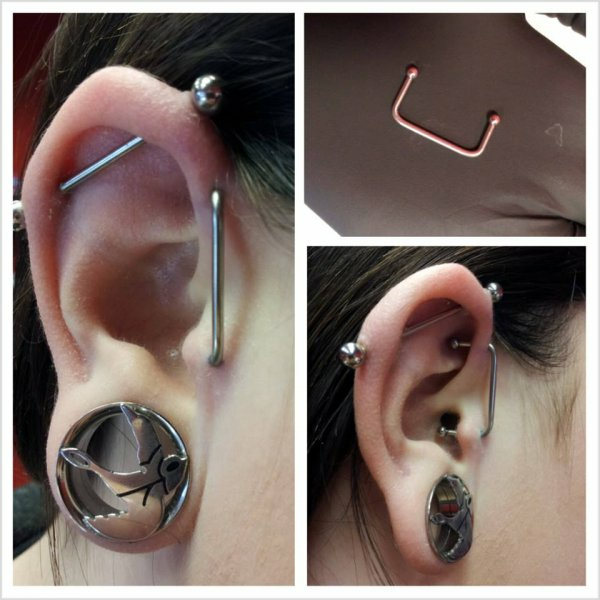 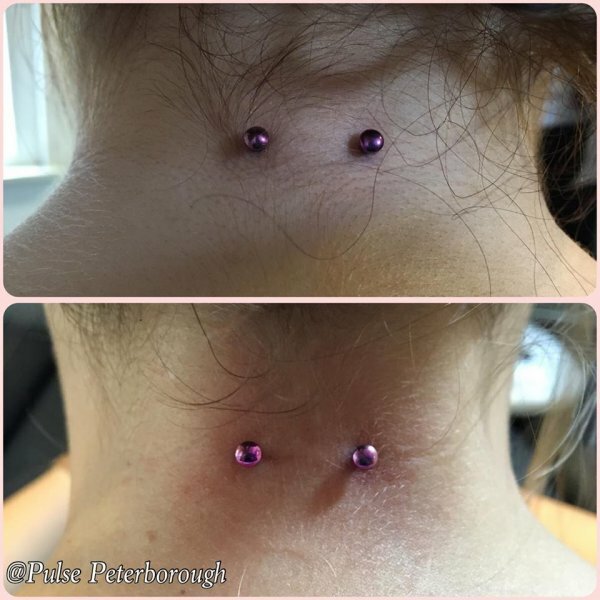 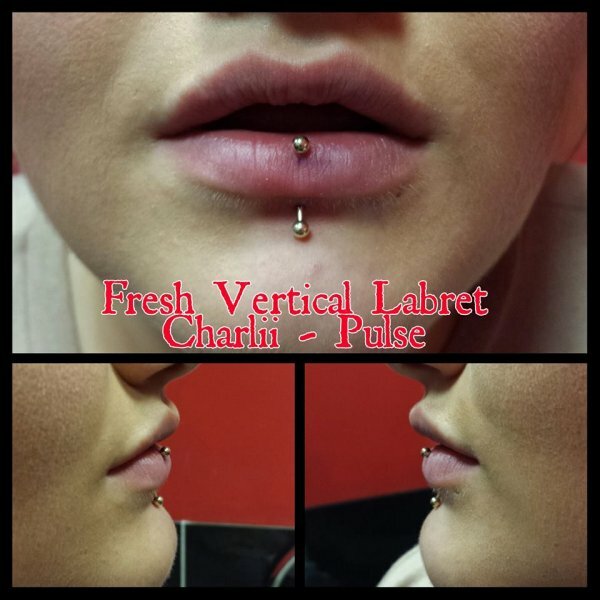 Tasha is currently the apprentice in Peterborough, but is learning quickly, so will soon be a fully qualified piercer. 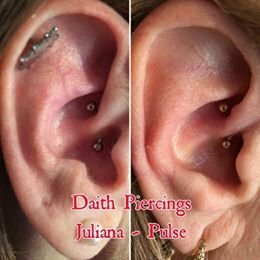 She is currently offering discounted rates on certain piercings. 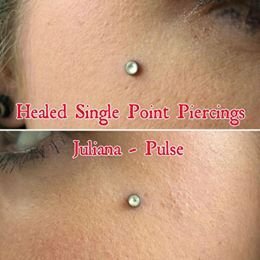 While she is a piercer as well, Helen is a registered general nurse, and offers a range of beauty therapies including botox and lip fillers.